The EUR/USD currency pair is still being corrected towards the previous descending wave; it has already reached the level of 1.3060. We think, today the price may form another descending structure to reach the level of 1.2940 or even lower, 1.2880. 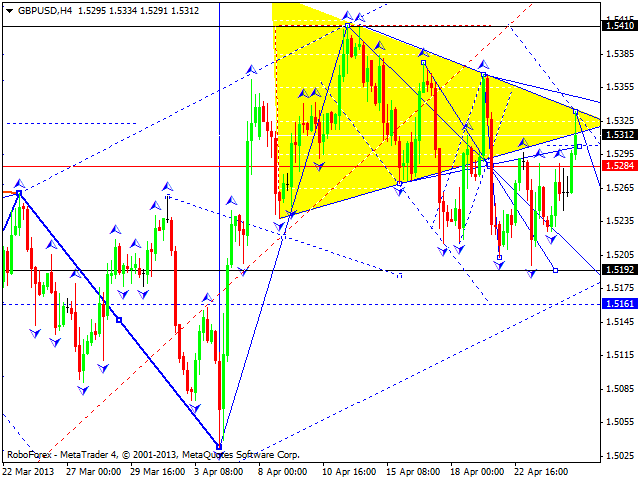 Later, in our opinion, the pair may start forming a new ascending wave towards the target at 1.3200. 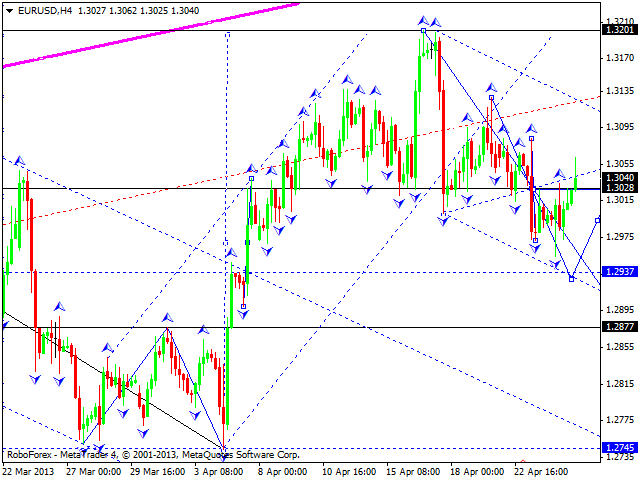 The GBP/USD currency pair completed a correction of the previous descending wave. We think, today the price may form a descending structure towards the level of 1.5190, or even lower, 1.5161. Later, in our opinion, the pair may start forming a new ascending structure to reach the level of 1.5615. 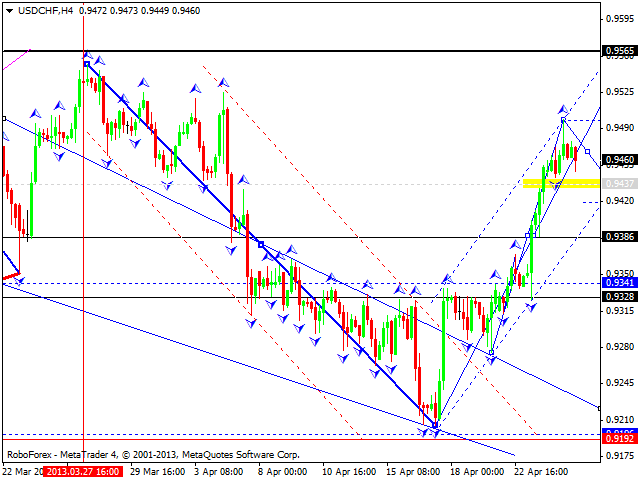 The USD/CHF currency pair is moving downwards right now; the target is at 0.9440. We think, today the price may form an ascending structure towards the level of 0.9560 and then start a new descending movement to reach the level of 0.9200. The USD/JPY currency pair couldn’t leave its consolidation channel and right now is moving inside a contracting triangle pattern. 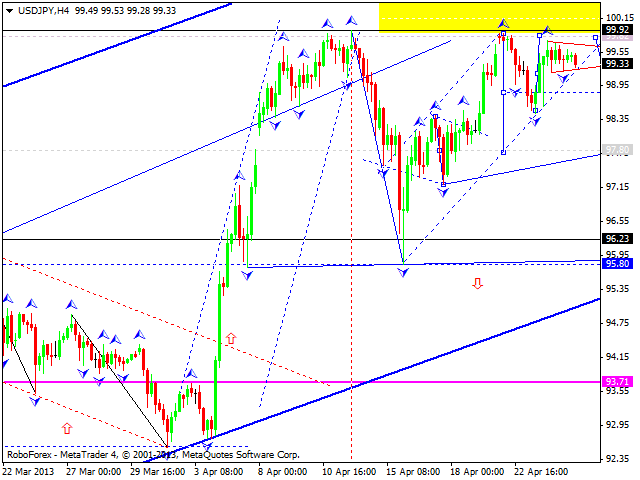 We think, today the price may try to start a new ascending movement to reach the target at 99.80 and then to fall down. The first target of this descending movement may be at 95.80. Gold continues forming the third ascending wave with the target at 1470. 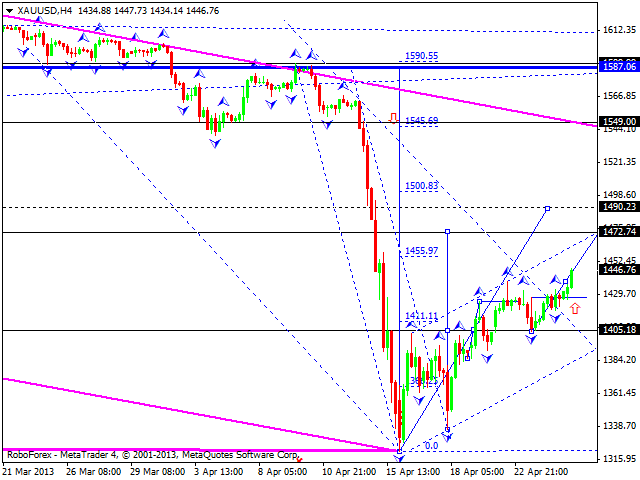 We think, today the price may reach this target and then start a correction back to the level of 1405. Later, in our opinion, the instrument may form another ascending structure towards the level of 1490.